When you need glue fast – Think Tecbond 15mm glue guns and glue sticks! 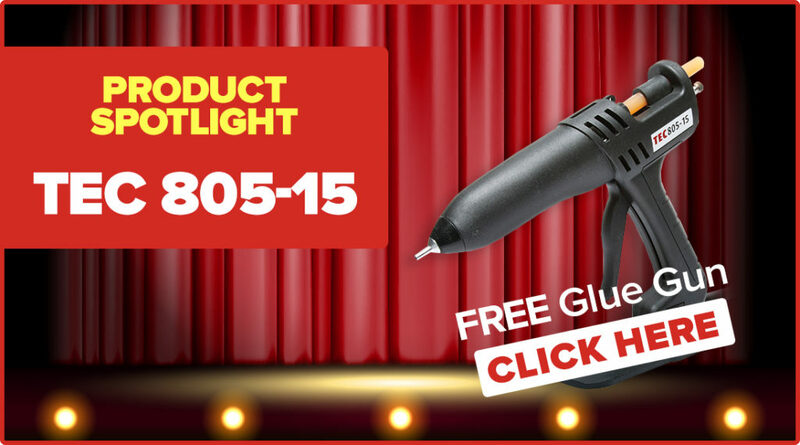 We have a fantastic offer to get you gluing with a Tec 15mm glue gun and we mean fantastic…………………. No restrictions, buy 100x cartons and receive 10 FREE tools……………. 12 months UK warranty when use in conjunction with Tecbond glue sticks. If a tool fails under warranty and repair can’t be offered a new Tec 806-15 will be supply. Tools failing outside of warranty service exchange will apply whereby a new Tec 806-15 will be offered at a discounted price. Price stated are plus vat. Offered limited to 160 tools!